Nordic Cruise Company is moving ahead with its plans to build a series of four expedition ultra luxury yachts, according to Ulf Henrick Wynnsdale, president and CEO. The first ship will be delivered in May of 2020, Wynnsdale told Cruise Industry News. Three more 220-passenger vessels will follow from Spain’s MetalShips & Docks in 10-month intervals. A significant amount of fundraising for the project is complete. The four ships will be the first expedition ships that are LNG ready, with capacity to sail up to 36 hours on LNG while burning MGO the rest of the time. They will also be equipped with hydrogen fuel cells, said Wynnsdale. “We are not going to be the second best. We are going to be the best. I know we have tough competition, but competition is always good,” Wynnsdale said. Since an initial ship concept was released in January, the company went back to the drawing board, adding capacity, making the ships bigger at 16,500 tons and giving them a totally new exterior look, courtesy of Hareide Design, which drew up a new vessel stance and incorporated much more glass into the ship’s design. Now, the vessel is an expedition ship, while retaining the mega yacht look. A sales plan is being formulated with David Morris International and the company plans to target the high-end of the U.S. source market. Multiple focus groups have been held across the U.S.
A hotel partner that will lend its name to the operation is still in the cards, Wynnsdale said. Most staterooms will offer so-called infinity-style balconies. There will also be a top-deck observation lounge and large aft marina. Absent will be helicopters and submarines. 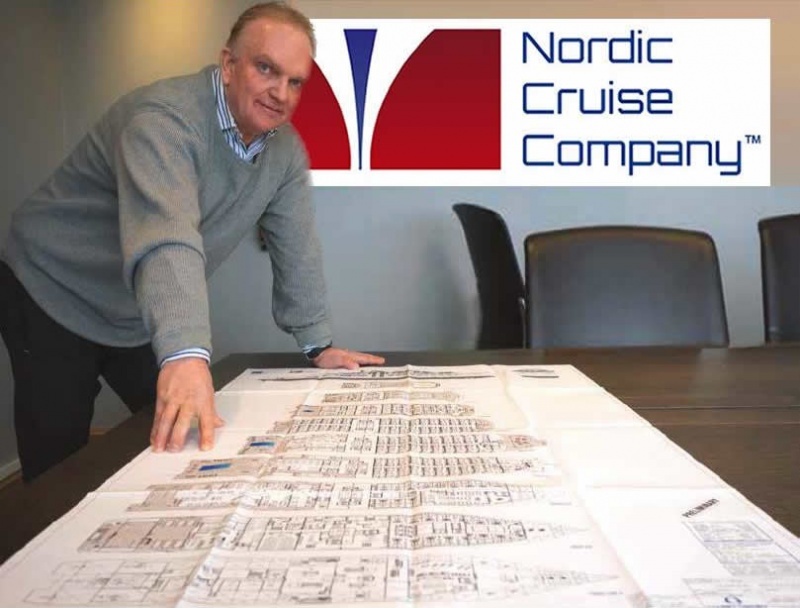 Being the first LNG-powered expedition ship, Nordic Cruise Company is on a mission to be green, also including fuel cells and battery power. DNV GL has signed on as the class society. Wynnsdale said battery power would supplement two main engines during peak periods of demand, so a third would not have to kick in. The vessel will have four main engines. Wynnsdale said that after a thorough review process, the company will construct the vessels at MetalShips & Docks in Spain, which has specialized in both mega yachts and offshore vessels. The yard and the shipowner have been talking for a full year. Wynnsdale added that there was little capacity for cruise-ship building in Norway and the Chinese yards he held talks with would have had challenges delivering a luxury product. Expect further branding changes before sales and marketing kick into high gear, with or without the addition of a hotel partner.